is the national pastime/sport of Thailand. It is a form of Kickboxing known as “The Art of Eight Limbs” for the fact that unlike American Kickboxing, comprised of Kicks and Punches – only; Muay-Thai incorporates the use of Knee and Elbow strikes as well. For this reason, Muay-Thai has become known as one of the most effective, and most fierce martial arts styles in the world. Muay-Thai is beneficial for a variety of reasons, in that it dramatically improves one’s coordination, agility, speed, strength, and cardio, in order to be effective strikers, with well-conditioned, and firm bodies. Since nearly all self-defense situations begin from a standing position, Muay-Thai is the first line of defense against an aggressor. At Quintella MMA, we offer instruction for both Personal Self-Defense, as well as Competition purposes. Muay-Thai takes place in a 3-roped ring, exactly like that of Boxing. is a martial arts style established in feudal Japan, for the purpose of facilitating hand-to-hand techniques for the Samurai, while in full-body armor, which at the time was large and cumbersome. It was made up of take-down techniques, holds, and joint-locks, that allowed a warrior to quickly neutralize and attacker. In the modern era, Jiu-Jitsu had been adapted by Brazilian’s, most notably, by the esteemed “Gracie Family”, for the purpose of being used against clothed opponents in street-fighting situations, and for shirtless opponents in professional combat sports like MMA (Cage Fighting), where techniques required modification, so as to facilitate grabbing hold of a limb, versus a sleeve/collar. 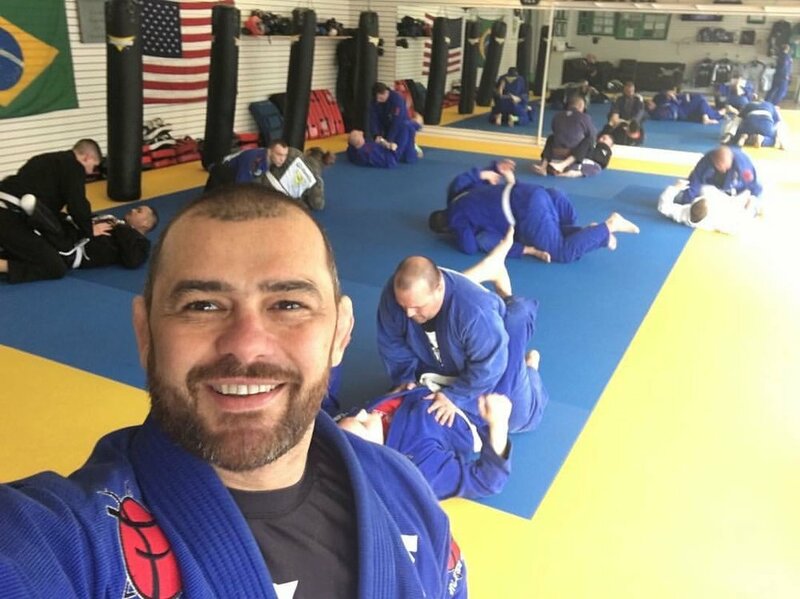 Jiu-Jitsu can be compared to “Wrestling”, in that its a form of grappling, which takes place primarily on the ground; only that unlike Wrestling where a “pin” is to be achieved, Jiu-Jitsu teaches one how to not only be effective on their back but also how to dominate from that position as well. The sport is played to submission; there are no pins; athletes attempt to gain the advantage over one another by employing techniques such as Takedowns, Chokes, and Join-Manipulations, until the opponent either forfeits (known as: “Tapping-Out”), or s/he is rendered unconscious … The benefit of Jiu-Jitsu is that it teaches smaller opponents how to be confident against bigger, stronger opponents, in that it has PROVEN to be effective, to the degree that one’s size becomes irrelevant when it’s used is aptly employed.